Bryan works in senior management assessment and development, building leadership capability, employee engagement and organisational change. With an earlier career in HR, Bryan progressed to board level roles in sales and marketing before moving into consultancy. 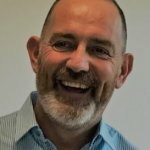 A qualified leadership coach, Bryan is a Chartered Fellow of the CIPD, Principal Practioner with the Association of Business Psychologists and has some 15 years NED/Trustee experience in housing and services to young people. Bryan has extensive experience of working with teams in change and has worked across private, public and a wide range of not for profit organisations that deliver services for those most in need.